Hi, I’m Will. 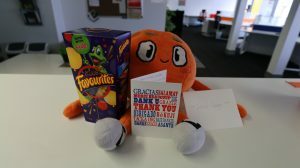 For the past week I have been interning at Studio Orange as part of my work experience for school. 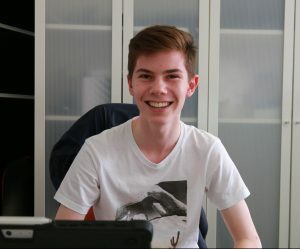 I chose to do work experience here because I’m interested in film and media and wanted to learn more about the industry for my future endeavours. When I first entered the studio, I was introduced to the team who were all very welcoming. This really stuck with me. The office didn’t feel like what I expected an office to feel like either. I thought it would be less interesting and more formal and private but people were collaborating with each other with ease and the staff were very social. We had many interesting conversations about things like sushi sandwiches and Ollie’s socks which created a fun atmosphere about work that opposed my preconceptions that a workplace would probably be boring. Not only that but the work we were doing was also pretty exciting. 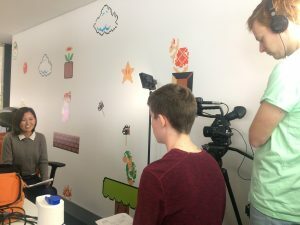 High quality videos and animations were being produced everyday and I got to help with the preproduction, filming and editing of some of these projects. The staff at Studio Orange have diverse roles and responsibilities in the company which broadened my understanding and education on the industry itself because I was subject to a range of jobs rather than just focusing on one job in particular. This meant that I completed a variety of tasks from making slides for a teleprompter to filming videos and editing them. I observed Rachel, one of the animators, during the process of creating a storyboard to use for an animation. She explained how an animation is structured and went through the process of creating a storyboard with me. Rachel showed me the different programs she uses such as Indesign, Illustrator and After Effects and some basic features of each one as well. I also worked with her to produce her profile video for Studio Orange as she was relatively new to the company. 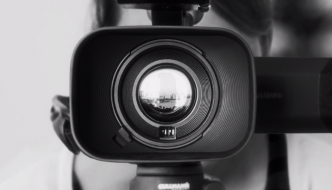 This involved me writing a script for the video which included the questions that I was going to ask Rachel, her responses and some shots for the B-roll which we would then play over her answers. Alongside Ben and Ruud, we set up the camera, lighting and microphones and filmed the interview. Then Ruud and I filmed various shots of Rachel at work and around the office for the B-roll. The next day we edited the video together so that it was similar to the other profile videos created in the past. 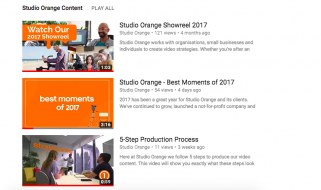 Ruud showed me some tips and tricks for editing programs like Premiere Pro and After Effects and we exported the footage onto Studio Orange’s YouTube channel. 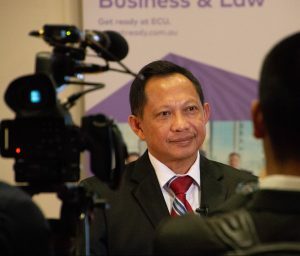 On Tuesday Ben, Ruud and I went out to ECU’s Joondalup campus to record footage of the Eminent Speech on Counter Terrorism presented by the Chief of the Indonesian National Police. Ruud took photos of the delegation whilst Ben and I set up the cameras in the lecture hall in preparation for the talk. Ben showed me how to assemble the camera on the tripod and taught me about the individual parts of the camera and what they can do. Ben was a great supervisor for work experience because he has a vast background in film and has worked for multiple video production companies from the BBC to Channel 7, so he knew what he was doing. We were required to film the whole speech and create a short video about the event in general. I was directed to monitor the main camera and its audio quality as well as asking people to duck whenever they walked past. Afterwards I went outside into the foyer and filmed the guests for the B-roll. It was interesting to go out and film on location and be able to use the proper equipment used for filming. I’m glad that I chose to intern here rather than taking the easy route at a pet shop or primary school even though it would’ve been fun to look after dogs for a whole week. Going to Studio Orange has been very insightful and has helped me to have a better understanding of how I’m going to plan out my future. I experienced a proper workplace environment and I learned specifics about what I’m interested in. I now know that I want to pursue film and media in the future because I’ve seen the job possibilities that come from it. It was a brilliant experience and I’m very grateful for having the opportunity to do work experience here with such kind and creative people.